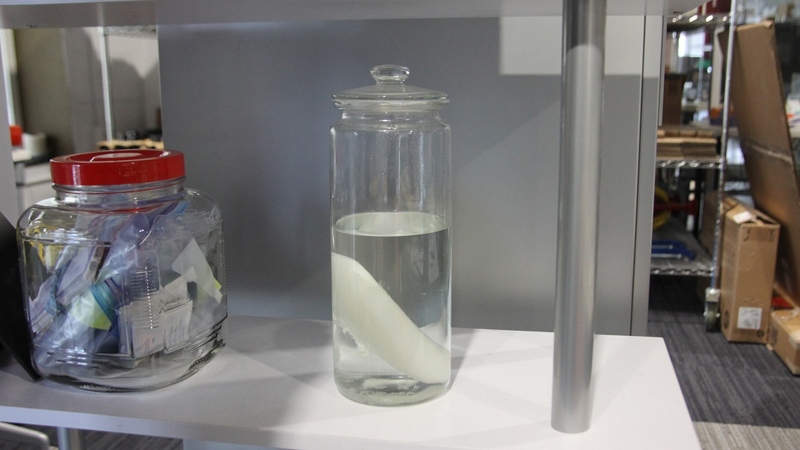 An artificial kidney created by QIdni labs. Kidney failure is a very serious condition, one that claims many lives and affects even more people. Kidneys are essential in filtration of the blood. The best form of treatment for kidney failure is a transplant from a donor. However, according to a recent study, only a fifth of those suffering from kidney failure are able to find an available kidney. Fortunately, this statistic may change in the near future due to research being done by Qidni Labs, a Kitchener-Waterloo based start-up. The research shows that artificial kidneys could be accepted by the human immune system. This has always been a tricky task to perform, as even a human kidney cannot be transplanted into any given individual. However, testing of the methods used in creating a replacement organ has already shown encouraging results. One of the methods tested involves pig kidneys. The cells in a pig kidney are dissolved, leaving behind only the scaffolding of the organ. This scaffolding is then used to make a new artificial kidney that could be accepted by a human patient. Given the limited access to donated human kidneys, the number of people who cannot receive a transplant would be significantly reduced with this new technology. The result would have a great impact on the healthcare system, to say the least. Another technology being developed by Qidni Labs is a portable dialysis machine. Those who suffer from kidney failure must spend hours each week undergoing dialysis treatment to properly filter their blood. During this time, they must stay in the hospital connected to an analysis machine, according to Qidni Labs. The primary complaint about this procedure is how it virtually immobilises a person. Even if a portable dialysis machine will not not work as well as a replacement kidney, the creation of a device that can perform these functions will allow a person to go about their daily life would greatly influence the lives of many people. Currently, Qidni Lab’s projects are still in the phase of being tested. The hope is that in the near future, these products will have completed human trials and, commercially available and widely accessible to those who are in need.